My sole desire is to promote PEACE amongst my fellows, whether German, French, or any nationality. I look upon war as murder and the work of imbeciles, and I hope the days are not far away when nations will blush with shame to think that they took the sword against their brothers. I have the same sympathy for all who are suffering through this damnable eruption. An articulate boot-maker with strong pacifist convictions, Henry William Reynolds was a thorn in the side of the military authorities for many years. Little is known about his family background: he was born in 1870 and lost his first wife when they had three young children. In 1901 he married again, but his second marriage lasted just twelve years – his wife Annie, born Maurice, died in 1913. When young resisters to compulsory military training began to be imprisoned in 1912, Reynolds showed his support by pasting the Maoriland Worker’s ‘Roll of Honour’ – a list of names of the boys jailed – in the window of his Colombo Street boot-making business. This led to a rather bizarre train of events when Reynolds was summoned to appear in court on a charge of displaying a paper that did not disclose the name of the publisher. In court it was revealed that the police had been asked to look into the matter by a Captain Wheeler of the Defence Department because he thought the list was an encouragement to break the law. As the Maoriland Worker commented, the prosecution was petty and vengeful, but it led to Reynolds being fined £5, a penalty which he challenged in a petition to Parliament. Despite the Public Petitions Committee reporting favourably on the case the fine remained unpaid and Reynolds was imprisoned for seven days in what he later referred to as the ‘Lyttelton criminal hatchery’ – or Lyttelton Gaol. Reynolds’ support for the Passive Resisters’ Union was also evident in the Repeal magazine where he regularly advertised his boot-making business. ‘You will find it worthwhile to get your boots from H.W. Reynolds’, said the advertisement in the August 1913 issue. ‘Highest quality at lowest prices. Get a pair today!’ ‘Who’s your bootmaker?’ read the advertisement in a later issue. ‘H.W. Reynolds is our bootmaker. He also wrote to Charles Mackie at the National Peace Council offering to print a pledge card that could be circulated prior to the next general election. Signatories would pledge themselves not to vote for a candidate who supported compulsory military training. During the war years Reynolds clashed with the authorities on at least four further occasions. In January 1916 the charge was ‘publishing matter likely to interfere with recruiting’ and arose from a display in his shop window that included a placard, picture, postcard, calendar, article and pamphlets. On this occasion he was fined £50, with the magistrate commenting that Reynolds was entitled to his views as long as he kept them to himself and did not attempt to spread them. If he had not pleaded guilty he would have received a prison sentence. Crown prosecutor Mr S.G. Raymond described all the offensive literature in some detail. The most offensive from the Crown’s point of view, he said, was the additions Reynold had made to an article from the Maoriland Worker which analysed figures from the census: Reynolds had drawn attention to the numbers of men who had said they did not want to participate in the war by adding, in large type, the statement that more than 34,000 New Zealanders would not kill or help to kill their fellow men. Later the same year Reynolds was sentenced to three months hard labour for evading the censor, by enclosing a letter inside another letter. Little is known about this case, although a ‘Reynolds Reception Committee’ was set up to organise a reception for his release in November 1916. Reynold’s anti-militarist convictions also led to him resisting his own conscription. He was tried by court martial at the King Edward Barracks in Christchurch on 2 June 1917 on a charge of disobeying a lawful command given by his superior officer. The letter sent to Reynolds ordering him to attend a medical examination had been returned, unopened. Reynolds told the court he was an anti-militarist who was opposed to all military power and military rule. ‘I look upon it as the curse to a nation.’ He was willing to take his punishment, he said, in the hope it would break down military power. In support of Reynolds, fellow member of the National Peace Council, William Ensom, spoke of the exemplary way he was bringing up three children and his good character as a citizen. Ensom said that Reynolds was endeavouring to educate himself at the WEA and that it would be a serious thing for his family if he were put in prison. Because he refused to recognise military authority Reynolds remained indifferent during his court martial, and sat and read a copy of the Maoriland Worker. When he was advised to pay more attention to the proceedings, he replied: ‘It doesn’t matter. I don’t want a hearing’. He went on to say that he ignored the Military Service Act and did not want to plead. As the Court Martial proceeded it was established that Reynolds’ youngest child was 12 which meant he was in the 2nd Division and should not be appearing before the Court. But when Reynolds was asked to establish that he was in the 2nd Division he refused, saying ‘I don’t wish to establish anything. I ignore the whole fad’. He was sentenced to one year’s imprisonment with hard labour. His release just a few months later, came about due to the efforts of Charles Mackie and others in the peace movement. ‘I feel convinced that had you not persevered and done all that was possible to gain my release, I should not be enjoying my liberty’, Reynolds wrote to Mackie in October 1917. On this occasion Reynolds was ordered to pay the costs of the prosecution but would not incur further penalties as long as he refrained from putting objectionable material in his window for the next 12 months. Reynolds continued to play an active part in the anti-militarist movement in the 1920s and 1930s, which included printing and distributing postcards for people to sign. ‘We all greatly appreciate your untiring work’, wrote Mackie to Reynolds in 1936. But his passion for displaying anti-militarist material in his window did not go away. In 1940 he was once again before the court on two charges of publishing subversive material that was likely to prejudice recruitment of His Majesty’s forces. On this occasion the charges were withdrawn after Reynolds undertook to stop displaying such material, though he made it clear that he would continue to work for peace. Henry William Reynolds died in 1947 and was buried in the Waimairi Cemetery. ‘“The price of Glory” to Henry William Reynolds’, NZ Truth, 29 January 1916, p.7. List of imprisoned conscientious objectors 1916 – 1918, http://www.nzhistory.net.nz/war/first-world-war/conscientious-objection; Christchurch City Library Church Registers Index; Memorial card for Annie beloved wife of H. W. Reynolds who died 5 September 1913 aged 34 years, Mackie Papers, Series 344, Box 12, Folder 44, Canterbury Museum, Christchurch. ‘Police Act Against Roll of Honor: Military Autocracy in Full Swing’, Maoriland Worker, 4 October 1912, p.4. 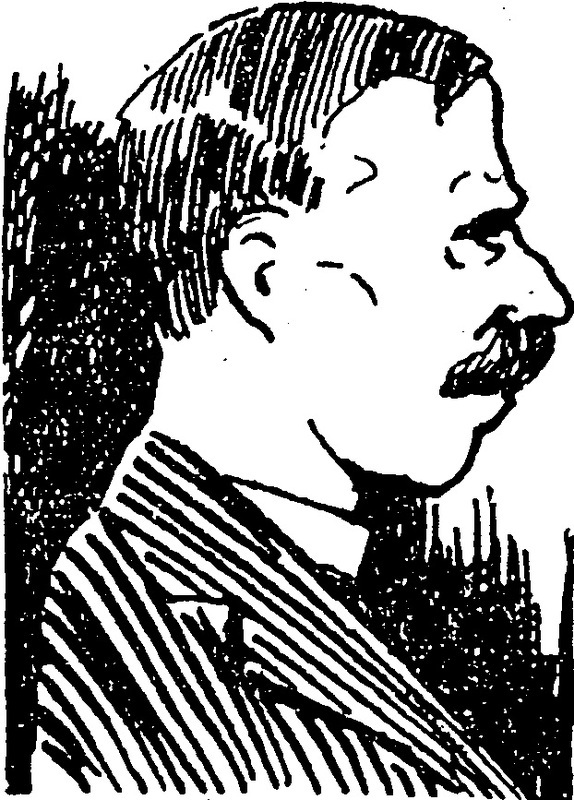 ‘The Reynolds Prosecution: Discussion in Parliament: Rough on Military’, Maoriland Worker, 25 October 1912, p.5; ‘The Reynolds Jailing’, Maoriland Worker, 6 December 1912, p.4; ‘“The price of Glory” to Henry William Reynolds’, p.7. The Repeal, August 1913, p.18 and March 1914, p.3. H. W. Reynolds to Charles Mackie, 27 June 1913, Mackie Papers, Series 344, Box 12, Folder 44, Canterbury Museum, Christchurch. ‘“The price of Glory” to Henry William Reynolds’, p.7. ‘Three Months Hard Labour For Attempting to Evade the Censor’, Ashburton Guardian, 12 September 1916, p.4; J. Dempster, Secretary of the Reynolds Reception Committee to Charles Mackie, 8 November 1916, Mackie Papers, Series 344, Box 12, Folder 44, Canterbury Museum, Christchurch. ‘Court-Martialled: H.W. Reynolds on Trial: Fails to Attend Medical Examination: A Peculiar Attitude’, Sun, 2 June 1917, p.2. ‘Court-Martialled: H.W. Reynolds on Trial: Fails to Attend Medical Examination: A Peculiar Attitude’, p.2. ‘Court-Martialled: H.W.Reynolds on Trial: Fails to Attend Medical examination: A Peculiar Attitude’, p.2. Mackie was released on 12 September 1917. List of imprisoned conscientious objectors 1916 – 1918, http://www.nzhistory.net.nz/war/first-world-war/conscientious-objection; Reynolds and family to Charles Mackie, 10 October 1917, Mackie Papers, Series 344, Box 12, Folder 44, Canterbury Museum, Christchurch; The National Peace Council’s annual report that year said that Reynold’s case had taken up much time and attention as Reynolds should never have been conscripted being over age for a soldier. ‘Seditious Notices: Reynolds Prosecuted Again’, Press, 4 May 1918, p.6. ‘Seditious Notices: Reynolds prosecuted again’, p.6. ‘Magistrate’s Court’, Press, 12 March 1940, p.5. Christchurch City Council Cemeteries Database. Tim Armstrong: A "very seditious character"
The Labour Legacy: A different war?